One of the first hurdles to having a clean and organized home is making a plan. Without a plan of action, you’ll go through your home doing one thing here, and another thing there and you’ll never really feel like you’ve accomplished what you wanted, nor will you have created a housekeeping routine. 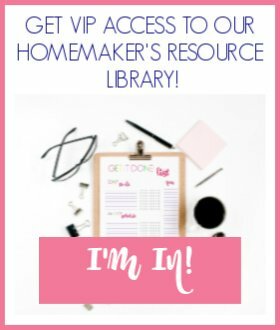 I created the Clean & Organized Home Planner to help you develop a strategy to keep your home, well, clean and organized. 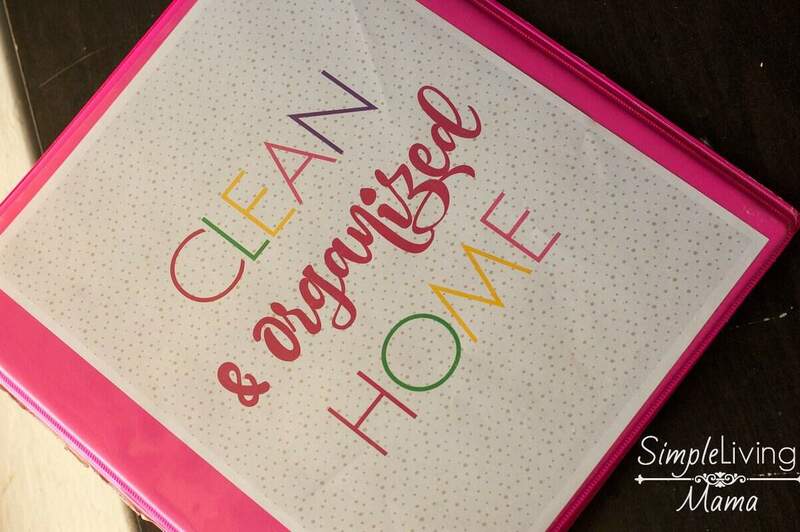 This planner will help you simplify your home because you will have a clear game plan for cleaning and organizing. This printable planner can be used over and over again. The pages can be printed and used in anyway you like. My favorite sheet is the 30 Minute Tidy checklist. If you need to speed clean your home, just use this checklist and you will have your home ready for guests in 30 minutes! The vehicle and home maintenance sheets also come in handy. As busy wives and moms, we often forget when we have repairs made to our vehicles or homes. These sheets allow you to record when the repair was made, how much it cost, and who did the repair. Do you need to plan some organizational projects? The organization planning sheets will help you block out the projects you make a priority in your home. Write down the steps you need to take to finish the project, as well as the supplies you will need to get it done. I designed this planner to be bright and colorful and to help you keep your home clean and organized. If cleaning and organizing is your goal, you need a plan to make it happen. This planner will make it happen! 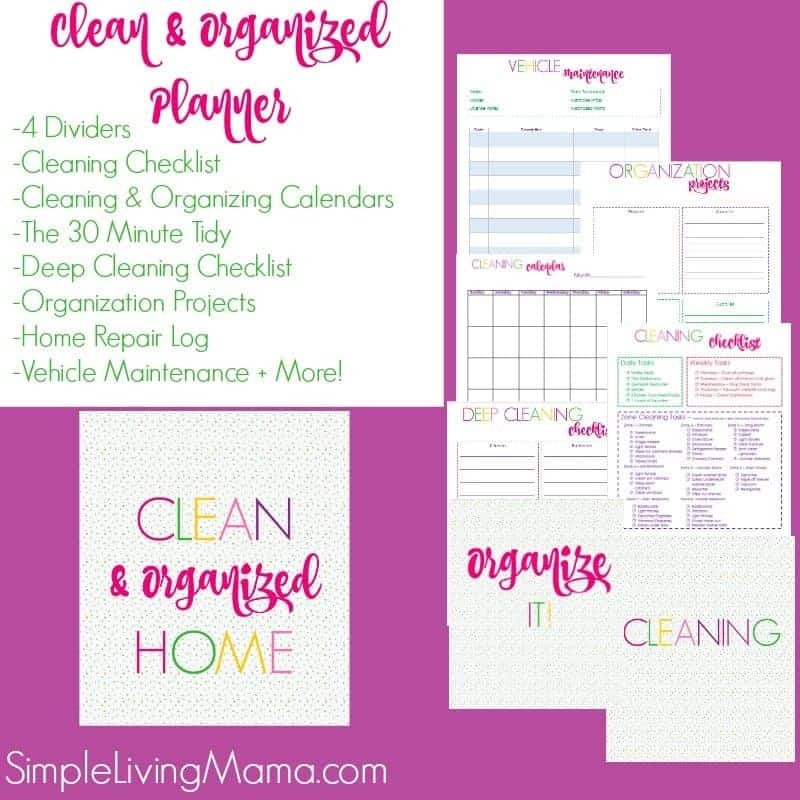 The Clean & Organized Home Planner is available in our shop! What do you think about distributing these tasks with my husband and kids, and get them involved too? 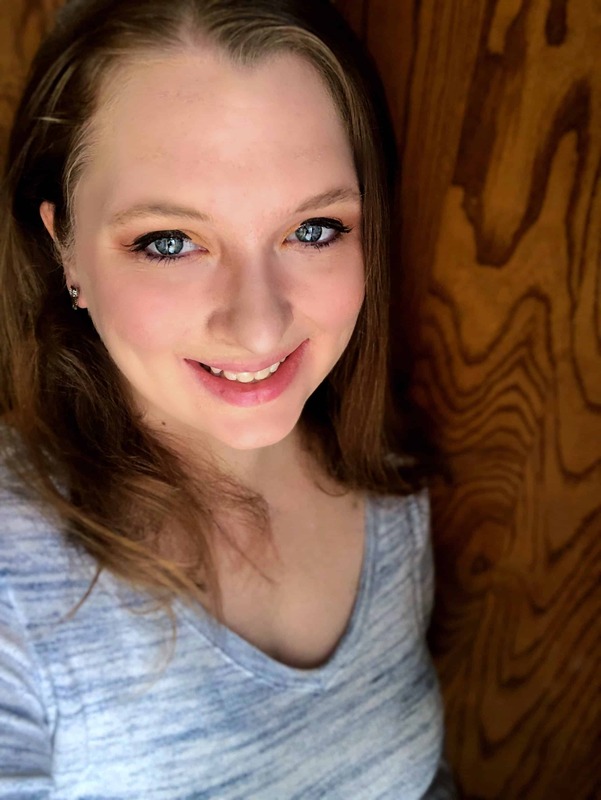 laurel recently posted…What Are the Best Ways to Remove Table Saw Rust? 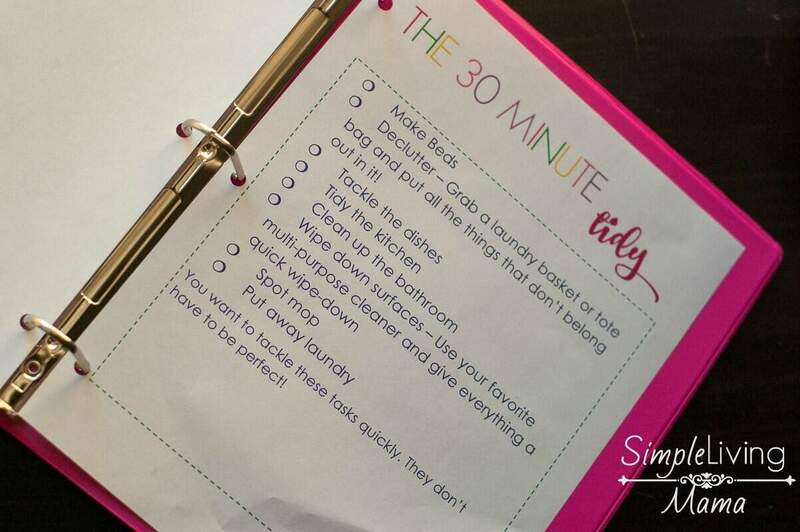 I love the 30 minute tidy list and doing 1 load of laundry a day is a great idea! That could mean I might actually stay on top of laundry one day!